And there lies the initial rep of the site: it’s an online resume or only used for job hunting. But Linkedin can be used for so much more than job hunting. Let’s review how you could be utilizing LinkedIn, a site with over 500 million users, to grow your business. Other agents - See what they are doing on the site, open a conversation with them and talk about tips to prepare for Open Enrollment or getting Millennials to purchase life insurance. I’m not saying give tips to a competitor, but there are agents across the country! Clients - Yes, do it! This is a social network that isn’t quite as personal as Facebook, but rather a bit more professional. They can see your experience on your profile and also see recommendations you may have. Vendor Contacts - This could include carrier contacts, your AgencyBloc sales rep or client success specialist, or your accountant. They’re part of who makes your business run; you should get to know them and their experience too! Potential Clients - Once you have made initial contact with someone, invite them to connect with you on LinkedIn. Make sure you change the generic message to personal note, and be sure your profile is up-to-date showing your experiences, skills and recommendations. This may be what they need to convince them to go with you. 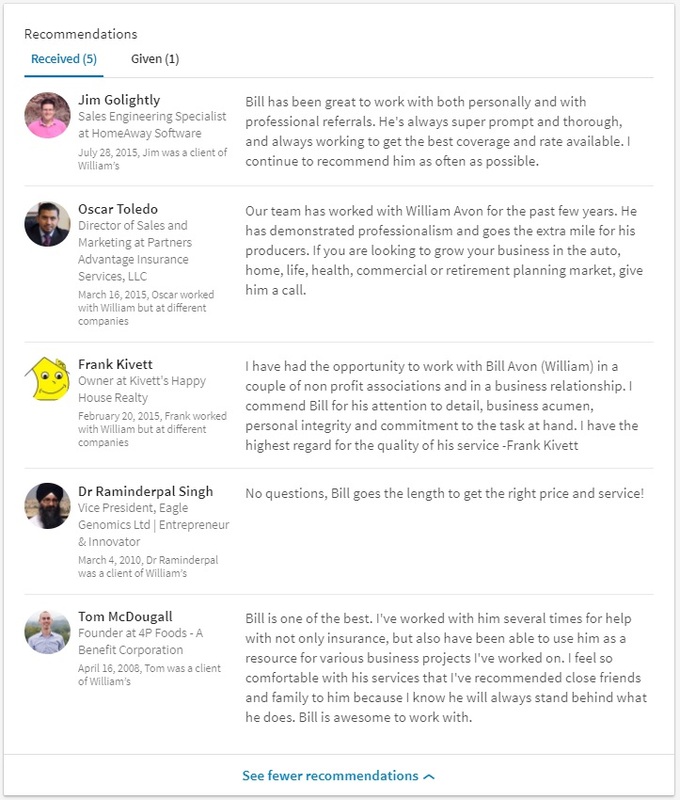 Groups - LinkedIn Groups are created across many industries, which are a great way to learn and show your knowledge. 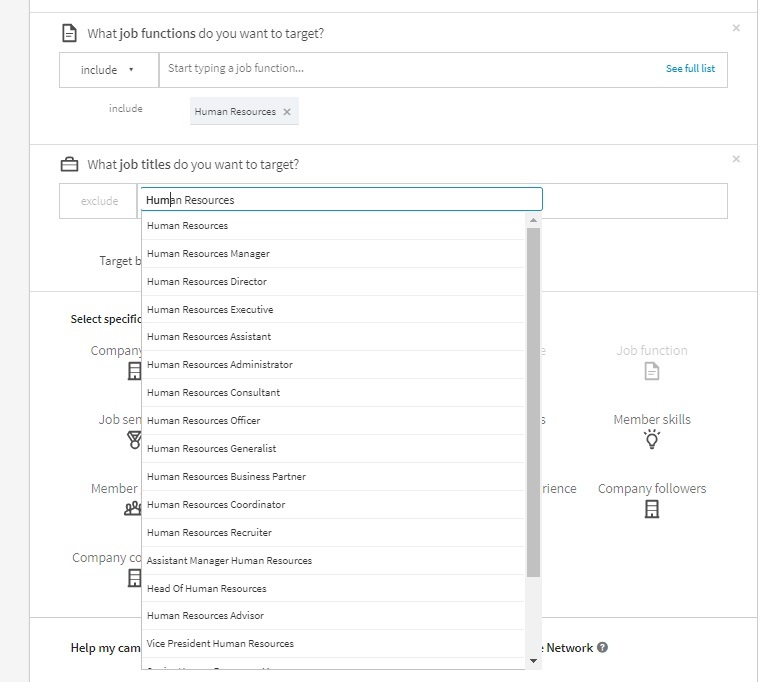 You can connect in industry-specific groups, company groups, alumni groups or skill learning groups—whatever you are looking for you probably will be able to find. 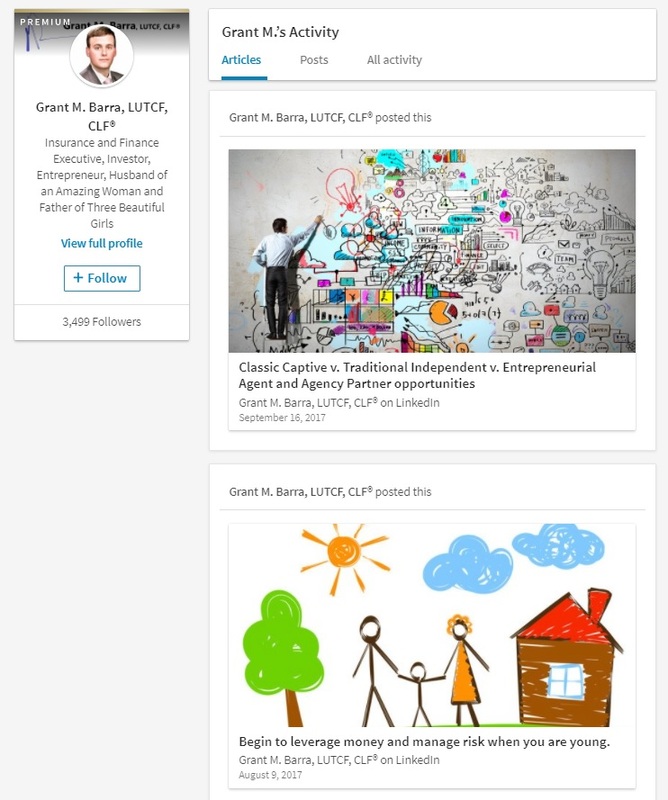 Lynda.com - Linkedin Acquired Lynda.com in 2015, which now allows you access to Lynda.com learning opportunities along with a Linkedin Premium Account. Yourself - This is clearly your profile, so make the right impression with your clients and prospects. 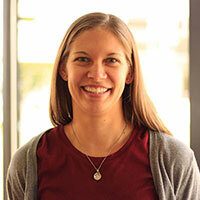 An updated picture of yourself (I know we all looked better when we were younger, but you need to put up the new one…), a good summary, and don’t forget the cover image! This is where you can show an image personal to your likes (activity, nature, etc.) or link it back to your business. It’s your chance to tell your story! 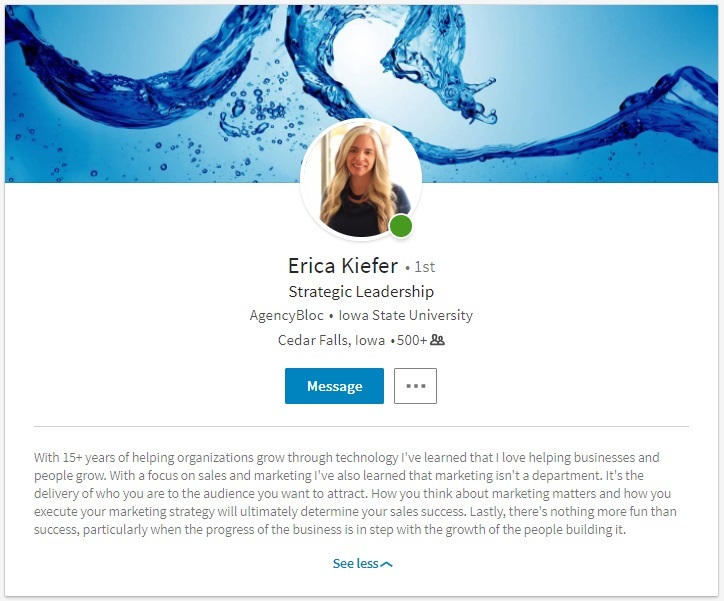 Erica Kiefer of AgencyBloc has an updated headshot, a good summary and a background image that is significant to her. Your Agency - You need to show it’s a real company; then when you list your experience on your individual profile, it’ll show a logo instead of a gray, undefined box. This is also the the place you can tell your company's story, share content and, of course, don’t forget to link back to your website. 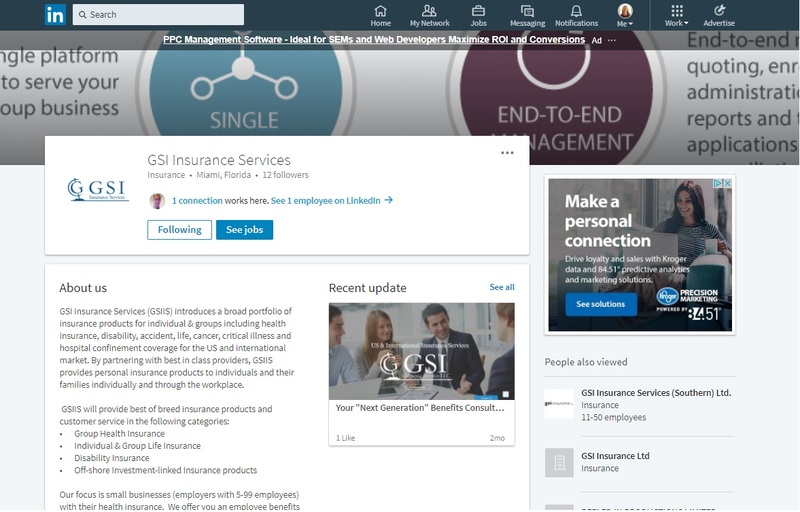 Mikell Simmons recently created a LinkedIn page for GSI Insurance Services; he is able to tell the GSI story and also show on his profile the company he works for. Using ads on LinkedIn can help you better target your audience. For example, if you sell benefits, you may want to target people with HR titles or job functions. Showcase how you, as a professional, do business. Recommendations are typically what pushes people to do (or not do) business with you. If you’re able to show happy clients or other happy co-workers, this tells the story of working with you. Don’t have a blog on your site? Want to showcase your personal knowledge? Content publishing on LinkedIn lets you publish articles that are linked to your profile. This provides a great platform to create and share content to showcase your knowledge. See! There is a lot more you can do with LinkedIn rather than just job search! It’s a great tool for building your own reputation and your agency’s. Not only that, but it does give you search credibility too! So make sure you at least get your personal profile up-to-date and optimized. Then, start building your network and your knowledge base. In this eBook, we'll discuss the benefits of taking your agency social, where to start, how to build your agency online, and ways to effectively use your social business.